I was a school prefect during 1958-9 at Wickford Secondary Modern. On Friday afternoons, last period, the boy prefects were tasked to get ladders out and climb onto the school roofs to collect children’s balls that had gone onto the roofs during break times. How would the current Health & Safety regulations view allowing 14 and 15 year old children to climb on roofs?!! It was a good skive off lessons. Just before leaving school, at 15, I took a camera to school and photographed these three views. These pictures capture a time when Irvon Hill was an unmade road and the school children had allotments, to learn about growing their own food. Note – Wickford Secondary Modern School is now Wickford Junior School. Just to let you know that my husband, Peter Barnes, died aged 81 in October 2013. I was originally a music pupil of his and we married in 1970. He often spoke enthusiastically and with fond memories of his career at Beauchamps School and of the pupils there, but that was how he was about the whole of life. We moved to Somerset in 2000 when our youngest son gained a scholarship to Wells Cathedral School. It’s lovely here but I’ll always think fondly of my roots and memories of Essex. I started at Wickford Secondary Modern School in 1958 and remember working in the allotments. Then moved to Beauchamps which had just been built. My memory is not so good now but some of my teachers were Mr Peter Barnes, Miss Amos (RE) and Mr Richards. Headmaster was Mr Ward. I left Beauchamps in 1963 with 3 O levels, worked in a wood yard then got a job as a messenger boy in central London. Me and my Mum and Dad lived at 18 Grange Road at Brock Hill. Great photos! I’ve hardly ever seen any of the old infants school. I started there in Sept ’57. In 1960 my year left for the junior school across the road, which until the previous year had been the senior school, before Beauchamps was built. In 2010, several of us toured the junior school and revisited our old classrooms – all still there, bar one! Bob: the dates are fully accurate. The year I started at Wickford Secondary Modern was 1955, it took me 4 years to become a prefect! John have you got the dates right? My wife says she knew you at the Church school and she left school about 1955. My wife’s name then was Maureen Cooper. I left there at the back-end of 1950 .Looking at the allotments brings back memories . I think you had to be in your final year to be allocated one of the allotments . I had one. There was no greenhouse, and no shed in those days. The shed was one of the old brick air-raid shelters, where we kept gardening tools. Mr Gash, I had forgotten his name. (Can still remember him today, drumming into us that soil is comprised of ‘rock particles and humous’). If I recall, correctly, he married the Domestic Science Teacher. For a time my base Teacher was Miss Hope, I wonder what happened to her ? My junior school years were spent at Wickford County Junior School from 1959. I think it must have been a combined junior and secondary school until Beauchamps was built. After my four years at Wickford I went onto Beauchamps. My sister also was schooled at the infants across the road from Wickford Junior school. Certainly I remember Mr.Cole being headmaster at the time. The pictures are lovely reminders and as I remember my Uncle John (Fuller) was and is an avid photographer! I recall the first day that the field between the school and the river was used for allotments. I was a pupil there then and remember starting a bucket and rope and pulley system to get water from the river. I helped some other lads to build the greenhouse in the picture. This was probably in the Christmas school holiday in 1953. Mr Gash oversaw the work, but we lads did most of the construction. I stayed on at the school past my normal leaving age, along with Arthur Coltman and Andy Slorrach to be able to take an R S A exam, in Maths, English, and Science, which we all passed. We were the first pupils to be allowed to do this, as were not able to sit for G C S E – or whatever it was in those days. When I left school in June of that year I went to work on the Garden Staff at Runwell Hospital. Because of my age special permission had to obtained for me to work there. This was due to my age, and the nature of the hospital patients. I left in August of 1957 to do my spell of National Service. I went to RASC Aldershot. My number was 23420281, sah! I had a short stay, as I hurt both ankles at one go, and got chucked out, 5th November 1957. I would say that the first of these two pictures is not quite right. The caption should read: Wickford Infants and Junior Schools, on Irvon Road, taken from the roof of the then Secondary Modern School. 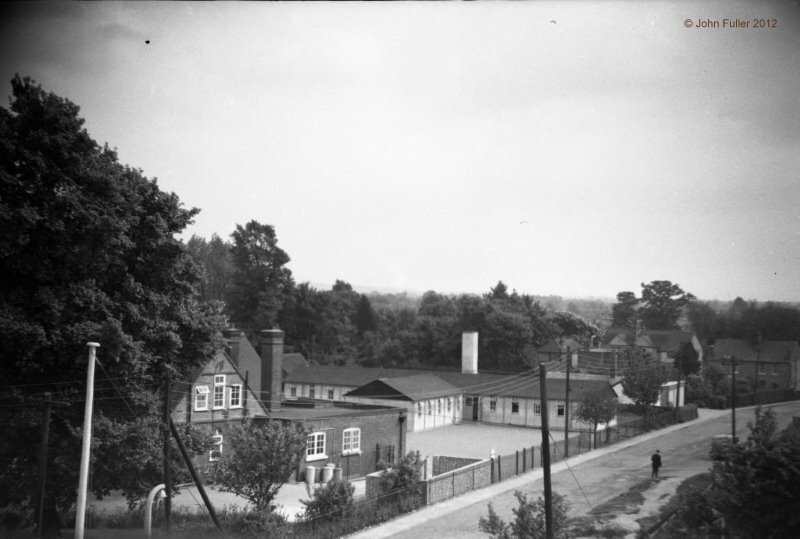 I’m not sure however of what the two schools became, after the Secondary school became the junior school, when the new Senior School was built on land off Southend Road (Beauchamps) and the pupils transferred to that school. 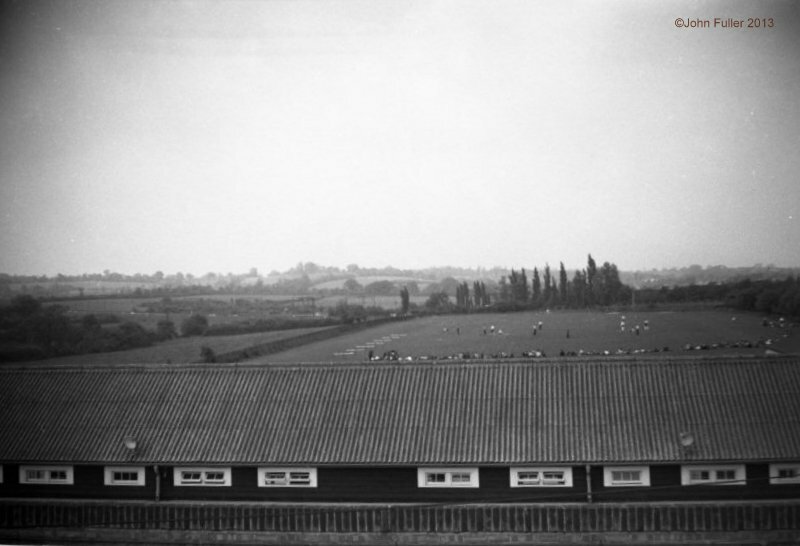 These are exellent pictures from the roof of Wickford Secondary School showing the prefabricated buildings, middle right, which was the original Infants School that we went to during the 39/45 war. 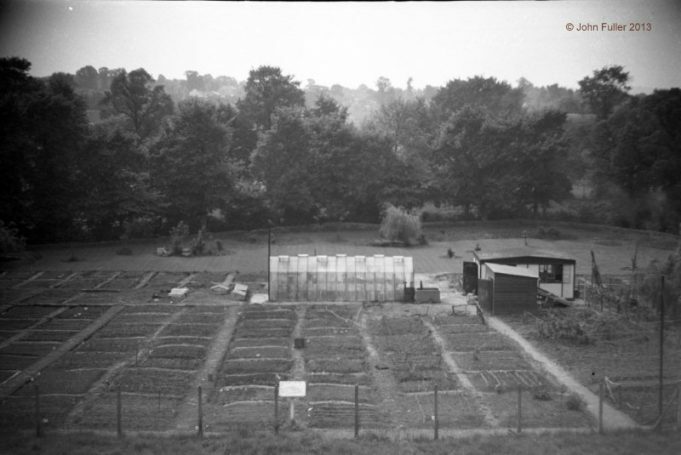 I remember going to the brick shelters at the secondary school when an air raid siren went, also a good picture of the school allotments, but I don’t remember the greenhouse or shed, that must have been later but it shows how Mr Gash really was into gardening. Do they teach gardening now I wonder. I am sorry I don’t remember the school being taken over by people from Tilbury, but perhaps somebody older than me can sort this out. I went to all three schools from 1942 onwards, infant, junior, senior school. Wickford Secondary Modern School, Market Road, My sister, who is somewhat older than I, has told me something about the school which I had not heard before. I believe this little piece of Wickford history is worth being recorded. By publishing it on this website it could jog other contributors to add more detail. Around 1944/5 the Wickford Secondary Modern School was turned over as a temporary home for people who were bombed out from their homes in Tilbury. An appeal went out to Wickford residents for clothing, which was supported by local people. Following the war the Tilbury people were re-homed and the school was thoroughly cleaned to enable children to attend the school.